1. By the high Frequency vibration (1MHZ), generate ultrasonic with strong penetrability. It is a special instrument that could radiate an alternate wave and spread around. It is much stronger that the normal sonic wave, with high frequency, good directive, strong penetrability and great expand ability. 2. Because of the high frequency vibration, it will do soft and micro massage to skin cells, accelerate the blood circulation, facilitate the metabolism, active the cells and improved the adsorption of nutrition. 3.High frequency micro massage could eliminate the aged cells,expel the toxin and fine the wrinkles. Accompany usage with cosmetic product or medicine,it could treat and improve the skin problems. 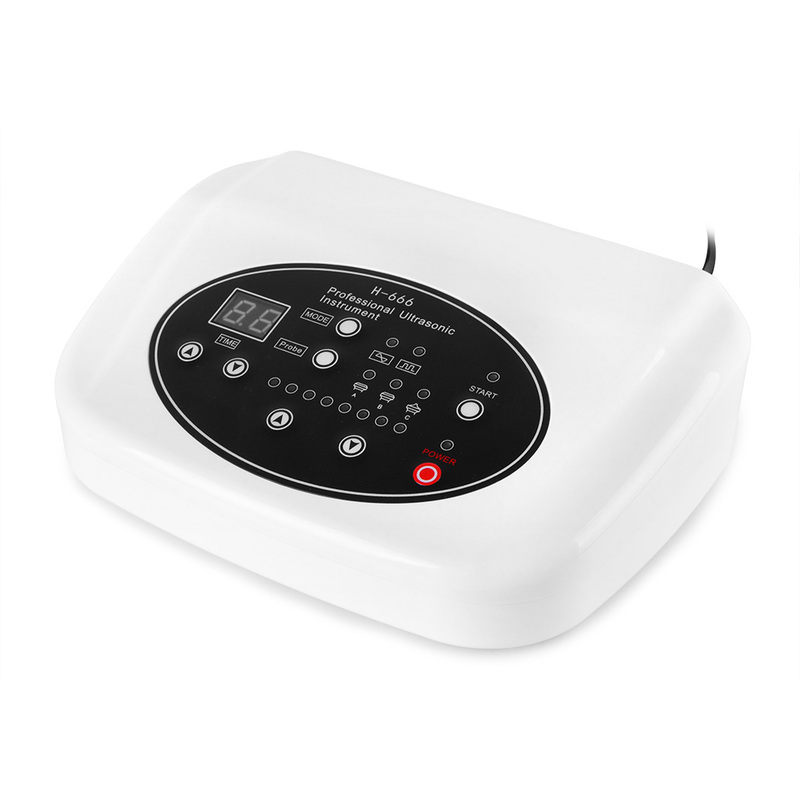 4, The Frequency of ultrasonic could also generate resonance vibration of the cells, consume the fat and improve water absorbing capacity of cells, rejuvenate the skin and recover the elasticity. 3. Comfortable, painless, no wounds during the treatment. 5. Non- exhaustion, low cost investment and quick high returns. 1. Free operation, . non-anesthesia. 3. No bleeding, timidness and bruise. 5. No wounds, will not influence the normal working and living.